UltraSound Home Inspections can make your home selling process much easier and less stressful by performing a pre listing inspection. Let our inspectors discover any defects that your home may have before someone else's home inspector does. This gives our clients more time to shop around for the best contractor or if qualified, fix the defect themselves. It can also eliminate unwanted surprises or outlandish estimates buyers might bring to the negotiating table when its time to close. Colorado is without a doubt one of the most beautiful places to live but sadly Colorado also has some of the highest radon levels in the United States. UltraSound Home Inspectors can test your new home's radon levels. The entire radon testing process normally can be completed in under 4 days and if necessary UltraSound can help connect you with a qualified radon mitigation specialist to help keep you and your family safe. If mold or asbestos is suspected during your inspection we can help you get this tested as well. We all know the Colorado and the Denver area is growing even faster than its marijuana crops. This can often lead to even the best contractors being forced to hire inexperienced workers which can lead to mistakes being made during your homes construction. Many mistakes made in a new homes construction may not appear until its too late and your builders warranty has expired. Our inspectors can make multiple visits to your home while its being built to make sure the proper materials are being used and installed correctly. Understand the status of your new home and its majors systems and components. Most new construction homes come with a 1 year warranty. We come out on the 11th month before the warranty expires and perform a full home inspection. We then send you an inspection report which contains detailed information and photos about any defects that we find. This will give you the information and proof that is needed to take the necessary steps to hold the builder and subcontractors to their warranties before they expire. If you have any questions about what your builder warranty covers, our inspectors will take the time to help you go over your warranty and explain its details. Buying a new home is very exciting! But also at times very stressful. It is one of the most important investments you will ever make. We take it as an honor that you have entrusted an UltraSound Inspector to help you with this important decision. All of our home inspection reports show detailed pictures of any defects found during the inspection. In addition, the report will include the positive attributes that your new home has to offer. Take a look at our HOME INSPECTION DETAILS page for more info. ALL ULTRASOUND INSPECTIONS COME WITH A 100% SATISFACTION GUARANTEE AND FREE PHONE SUPPORT FOR LIFE! Before any inspection can be performed by an UltraSound Inspector, a Pre Inspection Agreement Contract must be completed and signed by all parties that have an invested interest in the property prior to the inspection. To veiw or download the Pre Inspection Agreement Contract, click on the link below. If you have any questions about the Pre Inspection Agreement, please ask your UltraSound Home Inspector prior to the inspection being performed. 1. OVER 14 YEARS OF HOME INSPECTION AND CONSTRUCTION EXPERIENCE. 2. 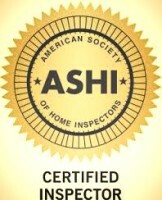 ALL OF OUR INSPECTORS ARE ASHI CERTIFIED AND HAVE PASSED THE NATIONAL HOME INSPECTORS EXAM. 3. EVERY CLIENT RECEIVES A FREE 90 DAY HOME WARRANTY ON ALL THEIR MAJOR APPLIANCES SUCH AS WATER HEATER, FURNACE, DISHWASHER AND MORE! 4. SEWER/GARD, MOLD/SAFE, AND A PLATINUM ROOF PROTECTION PLAN ARE INCLUDED WITH ALL HOME BUYERS INSPECTIONS. IF YOU DISCOVER THAT YOUR MAIN SEWER LINE IS DAMAGED AFTER THE HOME INSPECTION YOU COULD RECEIVE UP TO $4000.00 TOWARDS REPAIRS! 5. AFTER THE HOME INSPECTION IS COMPLETED OUR CONCIERGE SERVICE WILL HELP GET YOUR UTILITIES, CABLE, AND HOME ALARM SYSTEM CONNECTED OFTEN AT A DISCOUNTED RATE. 6. A HOUSEFAX REPORT IS INCLUDED WITH EVERY HOME INSPECTION REPORT GIVING YOU A DETAILED HISTORY OF THE PROPERTY THAT YOU ARE BUYING. HOUSEFAX ALSO CHECKS THE HOME'S PERMIT HISTORY FOR MAJOR REPAIRS, ADDITIONS OR UPGRADES THAT HAVE BEEN DONE. 7. ALL MAJOR APPLIANCES THAT ARE IN THE HOME ARE CHECKED FOR RECALLS AND YOU'LL BE NOTIFIED IF ANY NEW RECALLS ARE MADE IN THE FUTURE. IF A RECALL IS FOUND THEN WE'LL HELP YOU GET IT FIXED FOR FREE! 8. INCLUDED WITH EVERY HOME INSPECTION IS A HOUSE WARMING GIFT FROM MOVERSTHANKYOU.COM. ONE GIFT OPTION CAN SAVE YOU UP TO $500 AT LOWES HOME IMPROVEMENT. 9. IF YOU HAVE A QUESTION DAYS, MONTHS, OR EVEN YEARS AFTER THE HOME INSPECTION GIVE US A CALL. OUR CLIENTS RECEIVE FREE PHONE SUPPORT FOR LIFE! 10. EASILY SCHEDULE YOUR HOME INSPECTION, RADON TEST, AND SEWER SCOPE ONLINE OR OVER THE PHONE AND WE GUARANTEE YOUR HOME INSPECTION REPORT IS COMPLETED IN 24 HOURS.